Södermanland had six cloisters through the middle ages. Already in the 1100’s there was a Benedictine monastery though it’s unclear where it was. 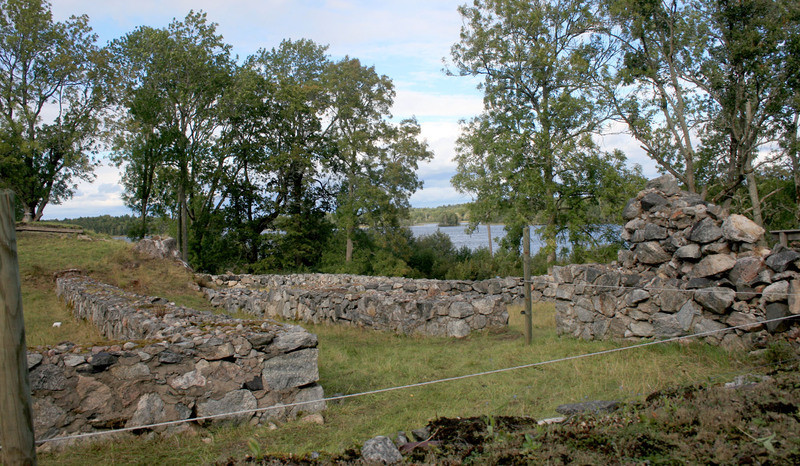 The nuns would have been expelled from their original place when it was converted into a castle which may explain why they moved to Fogdö Church not too far away. The castle was demolished 50 years later allowing the nuns to return to a better planned and larger cloister. During the Reformation in 1527 AD, the monastery and church property were taken over by the crown. The story goes the nuns were driven away when the skeletons of infants were discovered in the lake and the nuns were accused of the killings. A short time later, King Gustav Vasa tore down the monastery buildings to use the stone for the construction of Gripsholm Castle.